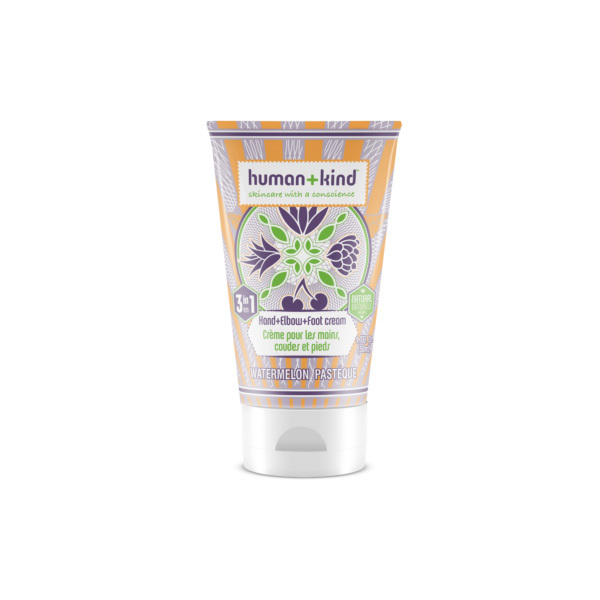 It’s summer all year round with Human+Kind’s Watermelon 3-in-1 cream. Helps keep your skin soft, supple and subtly fragranced. Offers immediate comfort to your skin, leaving skin feeling smooth, super soft and nourished. Ingredients include: Rosehip Seed Oil, Cocoa Seed Butter, Calendula. Calendula has excellent anti-inflammatory properties for skin. It is ideal where tissue degeneration is an issue – such as stubborn wounds, sores, acne, ulcers, bed sores, varicose veins, bruises, rashes, eczema etc. Rosehip Seed Oil is high in Vitamins A and C. It is also high in essential fatty acids like linoleic acid or omega-6, and linolenic acid or omega-3. It is used for a variety of skin conditions, including dermatitis, acne and eczema. It is suitable for mature and sun burnt skin and is frequently used to heal scarring.